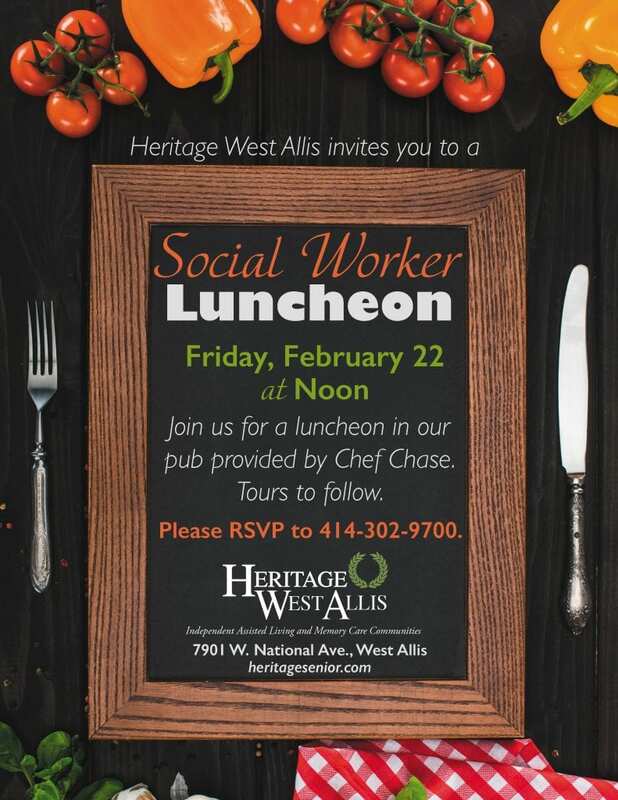 Social workers are invited to join us at Heritage West Allis for a luncheon in our pub, provided by Chef Chase. Tours to follow. Please RSVP to 414-302-9700.